The commissioning of the pipeline that will deliver gas from Turkmenistan to India was scheduled for 2017. Commissioning of the TAPI (Trans-Afghanistan Pipeline, also known as Turkmenistan-Afghanistan-Pakistan-India) gas pipeline will be postponed from 2017 to 2018, Pakistan’s Minister of Economic Affairs and Finance Mohammad Ishaq Dar told TASS on Monday. “The year 2017 is a very aggressive term. It might better be 2018 or around it. The most important thing for us is to complete this project,” he said. The 1,735-kilometre gas pipeline will run from Turkmenistan to India via Afghanistan and Pakistan. The pipeline’s designed capacity is 33 billion cubic meters of gas per year. Investments are estimated at around $8 billion. Initially, the launch of the project was planned for 2017. “The project is being realized with the help of the Asian Bank of Development and has a big potential. The pipeline’s target markets are countries with a population of three billion people,” the minister said. 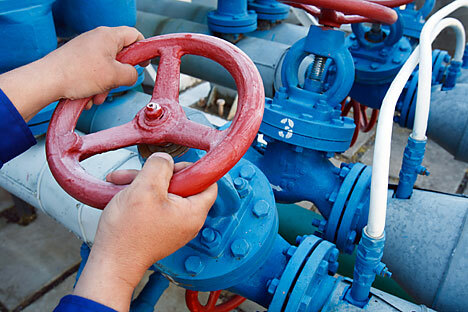 All three countries - Afghanistan, Pakistan and India - became official buyers of Turkmen gas. In May 2012 the Pakistani company Inter State Gas System Limited and the Indian company GAIL Limited signed the relevant agreements with the Turkmen gas concern. The basic document to implement the project is the Ashgabat interstate agreement between the countries. Russian companies have also expressed interest in taking part in the project. India has regularly suggested that Gazprom join the project as one of the suppliers. Talks on the gas pipeline’s route from Central Asia to India’s growing natural gas market began back in 1995. There was little progress, however, until 2005, when the Asian Development Bank gave a grant to finance a feasibility and economic study for the project. All four partners signed a framework agreement in 2008 that confirmed their readiness to take part in TAPI. It was not until 2010, however, that real work began, with Turkmenistan playing a key role. On 13 August, Turkmen President Kurbanguly Berdymukhamedov told his ministers to sign all the necessary agreements before the end of the year. In a telephone conversation with then-Afghan President Hamid Karzai, they agreed to discuss TAPI behind the scenes at the UN General Assembly meeting in September. The project was stalled for long due to security fears as the pipeline would pass through areas affected by the Taliban insurgency in Afghanistan and volatile terror-prone areas of Pakistan. Information from a TASS report was used in the article.